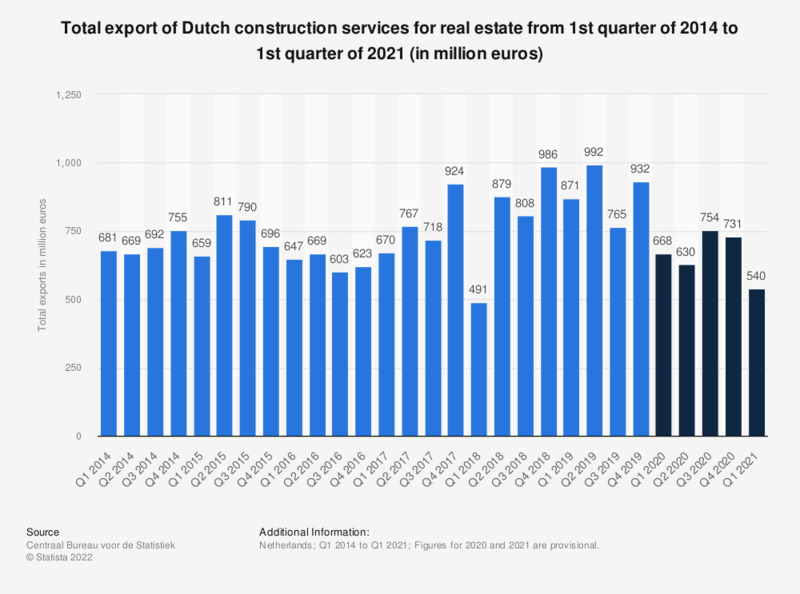 This statistic shows the total export of Dutch construction services for real estate from the first quarter of 2014 to the third quarter of 2018 (in million euros). The source states that the numbers cover 'construction work for non-residents by companies resident in the Netherlands and the goods and services acquired by these companies in the country of the construction project or in a third country for use in construction project abroad'. In the third quarter of 2018, the Netherlands exported 823 million euros worth of construction services abroad.